Nigerian forward, Nnamdi Oduamadi registered his name among scorers for HJK Helsinki in their 3-1 win against FC Ilves in the Finnish Veikkausliga. Finnish midfielder, Laur Ala-Myllymaki scored first for the home side in the 31st minute; Raphael Scapini de Almeida popularly called Rafinha scored a brace in the 51st and 87th minutes for HJK, while Oduamadi scored in the 83rd minute to end the game 3-1 at regulation time. Oduamadi was substituted in the 90th minute; former Super Eagles left-back Taye Taiwo was in full time action, while another Nigerian Vincent Onovo came on as second half substitute in the 68th minute. 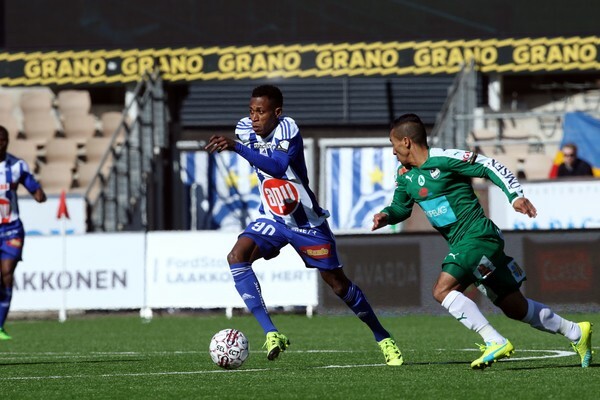 Meanwhile, 26-year-old Oduamadi has scored seventh goal in the current season for HJK.